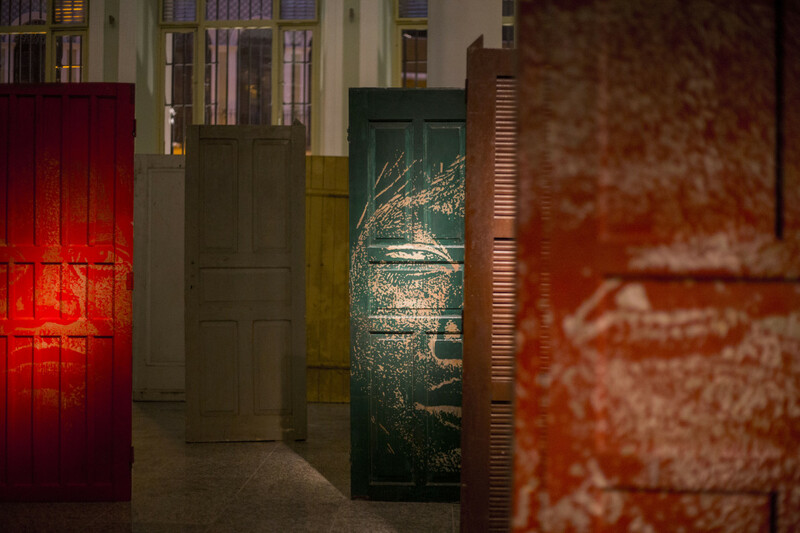 First presented to the public in the cities of Curitiba and Recife in 2014, the large-scale installation that forms “Incisão” (Incision) offers a meaningful reflection on the politics of displacement and cultural dispossession faced by indigenous peoples today. The body of work presented in this exhibition resulted from a short residency in Curitiba, which extended to the indigenous community of Araçaí, in March 2014. Located a mere 50 km from the cosmopolitan city of Curitiba, the latter’s cluster of ramshackle wooden huts is home to a community of 90 Guarani people who were forced off their ancestral lands in 2000 by a government relocation programme. 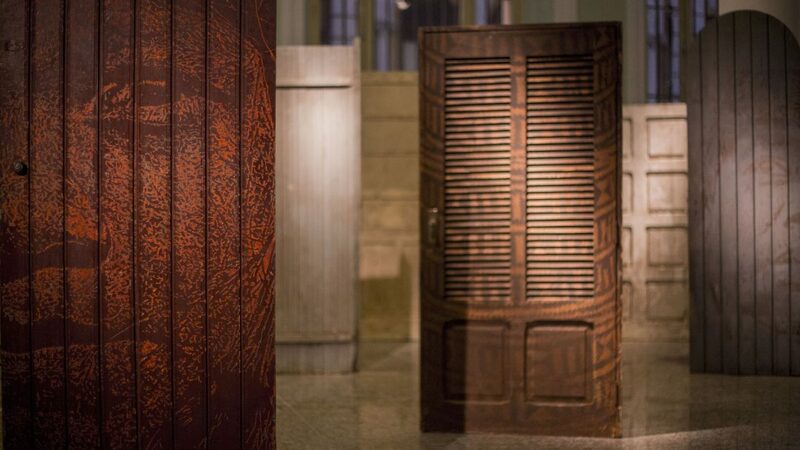 Exploring the contrast between the community’s near-isolation and impoverished living conditions and the city’s bountiful modernity while reflecting on the devastating clash between unbridled contemporary development and traditional ways of life, the installation forms a symbolic new town comprising 54 wooden doors carved in bas-relief with the images of various faces and indigenous motifs, including 18 portraits that represent inhabitants of Araçaí. Four of these pieces were created by a group of artisans from the community, forming a direct collaboration between Vhils and the Guarani people that blended new and ancient carving techniques.